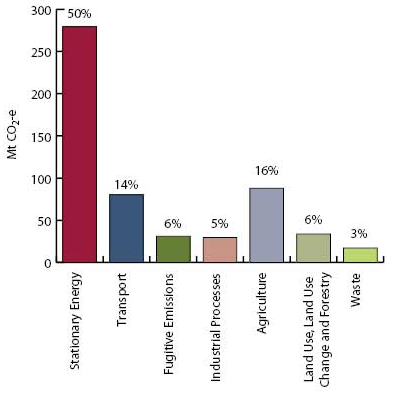 Carbon footprint is a measure of the impact of our activities on the environment, in particular climate change. It relates to the amount of greenhouse gases produced in our daily activities, directly or indirectly, through transport, stationary energy use (electricity and gas), and embodied energy in our products/purchases. Our emissions add to the amount of greenhouse gases in the natural carbon cycle.As a result, global temperatures are rising faster than expected. Australia may be a small country, but we have the largest per capita carbon footprint in the world. That’s because we use from mainly fossil fuels to generate electricity and in transport (left). 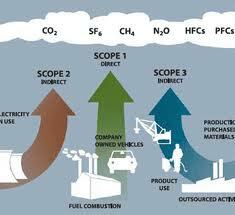 How are business activities and carbon footprint related? 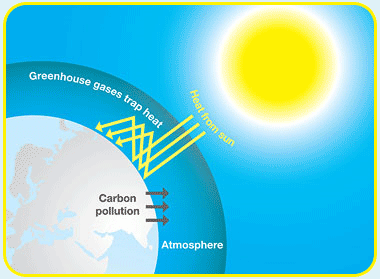 A business’ carbon footprint is related to energy use through its activities. For example, most of the stationary energy use at Goodwill is in electricity, thus making up the bulk of their carbon footprint. A more detailed analysis found that electricity is used mainly for machinery, compressed air production, lighting, and air-conditioning. Gas is used for producing hot water and space heating. Using this information, Goodwill could target their energy actions toward the major areas of use.